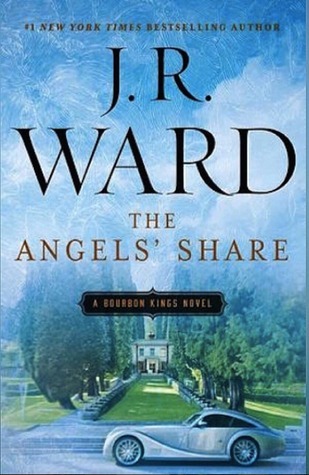 A truly divine reading experience awaits you with The Angels’ Share which is the second book in the series by J.R. Ward. I was over the moon when I received an ARC of this novel, because I absolutely loved The Bourbon Kings, and I couldn’t wait to read more about the Bradford family. The characters are all so rich and vivid, including those that I believe would be labeled as secondary. My favorite is still Tulane (Lane), and I love him both as an individual and as a couple with Lizzie, but I must admit that I think Edward is honestly the most intriguing, and the one that I want something really good to happen to. That’s not looking too good by the end, so I’m hoping Ms. Ward has a nice surprise where he’s concerned in the next installment. My impressions of Virginia (Gin) were not at all favorable in the first book, or through most of The Angels’ Share, and then that started to change subtly towards the end. It’ll be interesting to see if that continues or if she goes back to being the way she was. She has the potential to be so much more as a person, and as a member of the Bradford family. The big mystery remains the final sibling, Maxwell. We knew he existed, and now he’s come home, but it’s very murky as to his intentions. I have no idea whether he’s good or bad, whether he wants to help the family or destroy it. I really enjoyed the continuation of the storylines from Bourbon Kings, as well as some new ones which emerged. There are lots of plot twists and surprises which make this so much fun and pleasurable to read. Many times I found myself thinking, Whoa! I didn’t see that coming at all! I loved the unpredictability of it all. J.R. Ward is an amazing storyteller and such a gifted writer, and this book just has everything…passion and romance, secrets and lies, mystery and murder, surprise and suspense. It’s never overwhelming though. It never feels like too much. It’s just captivating and engaging and wonderful. The Angels’ Share gets my highest recommendation. It was one of my most anticipated reads for 2016 and it exceeded my expectations. I consider it to be a must read with a definite 5+ rating. As much as I loved The Bourbon Kings, and I really did, I love The Angels’ Share even more, and I’m looking forward to book three more than I can say! Prior to her writing career, Ward worked as a lawyer in Boston and spent many years as the Chief of Staff of one of Harvard’s world-renowned academic medical centers. Ward currently lives with her family in Kentucky where she has learned to enjoy and appreciate all things Southern. This entry was posted in 5 stars, Book Crushes, Book Recommendation, Book Release, Books, Excerpt, Favorite Authors, Favorite Books, J.R. Ward, New Release, Reviews and tagged 5 stars, Book Crushes, Book Recommendation, Book Release, Books, Excerpt, favorite authors, Favorite books, J.R. Ward, New Release, reviews.